The following is a guest post by Kerry Sherin. Kerry Sherin is a marketing associate at Offers.com. She’s a proud dog mom and yogi who always is on the hunt for the best deal. After all, two pairs of new shoes are always better than one. She can otherwise be found hiking, traveling or planning her next great adventure. Halloween is here and with it comes endless amounts of candy, horror films on repeat, and of course plenty of costumes. For many, Halloween isn’t about what they are dressing up as, but what they will be dressing their pets up as—or maybe even what their coordinated costumes will be. If you’ve waited until last minute or are looking to save on your pet’s Halloween costume this year, check out the costumes below for a few ideas! 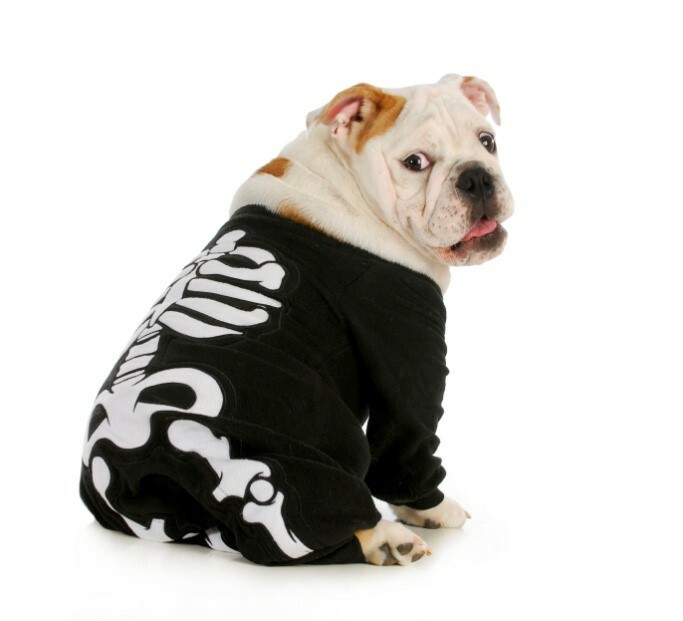 Paint skeleton bones on a black t-shirt of your pet’s size. After the paint dries, slip the shirt on and your pet will be ready for the night. Paint the bones directly onto your pet with pet-friendly paint. This will work better on black dogs but will require patience as your pet is sure to wiggle as the paint dries. For a costume that says I love my mummy, wrap your pet in a roll of gauze. Be sure to avoid wrapping any areas affected by potty breaks. If you don’t want to purchase new gauze that you will throw away, wrap your pet in a cut-up old t-shirt. 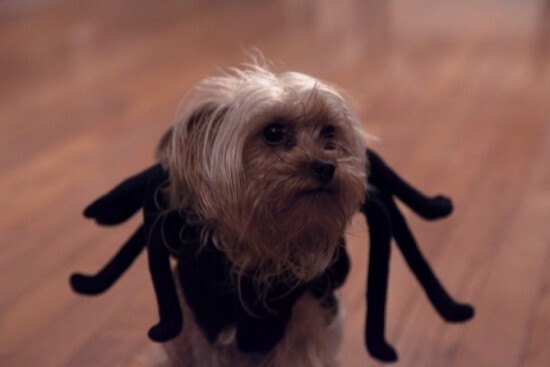 For an easily repurposed costume, take a store-bought spider decoration, remove the padding, and cut holes for your pet to fit inside. If your animal is too big, take out the padding and attach straps that connect on the body of your pet. Hey, pets need pampering too. Show off your pet’s beauty salon style with these simple steps. Take hair rollers and attach them to either an elastic or plastic headband using glue or clips. Place the headband on your pet and cover with a printed handkerchief. Secure under the chin by tying a simple knot, being careful not to tie too tight. 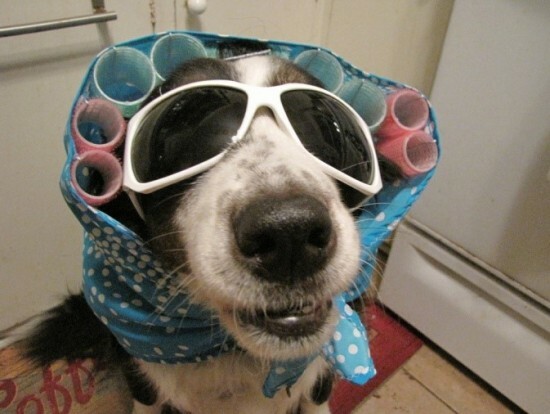 Slip on some shades and you’ve got yourself a pet that’s ready for a glam night. 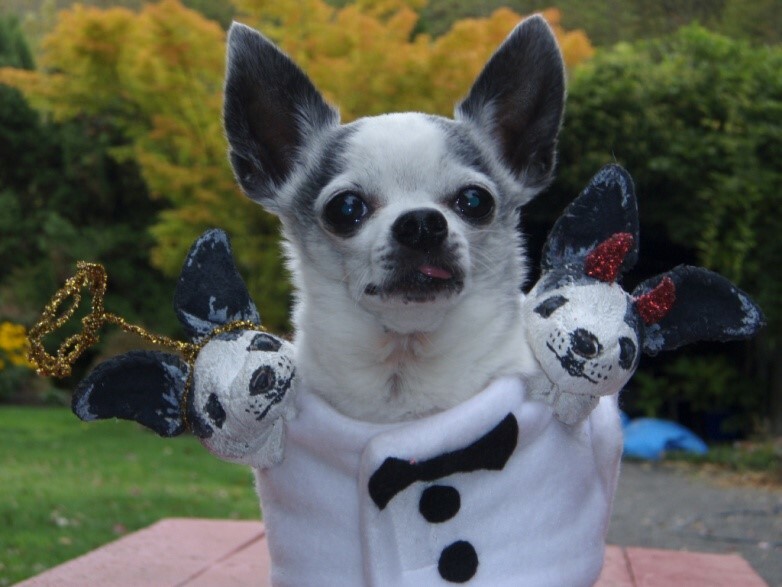 Easy and eye-catching, a three-headed pet costume is sure to turn heads. Whether you’re bestowing your critter with three matching heads, endowing him with a shoulder angel and devil, or creating a mixed-breed monster, making this costume is easy enough. Remove the bodies of the stuffed animal and sew the heads onto a strip of fabric. Be sure to place the fake heads far enough apart to fit your animal’s head. To create an angel and devil, add a halo to one side and horns to the other. You can now tie, or Velcro the fabric around your pet’s head. Your pet and you are now ready for a night of terror. 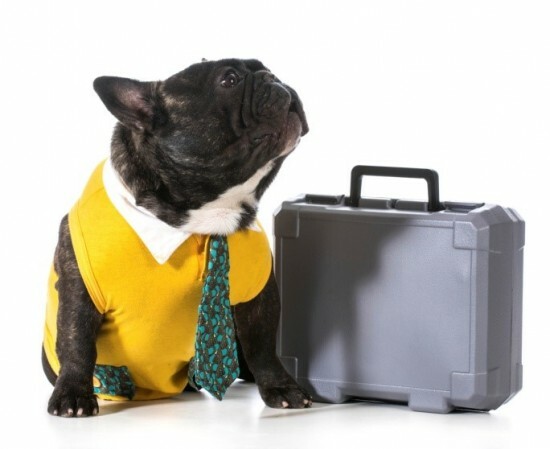 Nothing says “I’m here to party” more than a pet dressed in business-casual attire. Make sure your favorite critter is dressed his or her best this Halloween. Cut the wrist cuffs and neck off an old button-up shirt and sew them to fit the size of your pet’s wrists and neck. For smaller pets, children’s shirts or onesies can come in handy as the body of your costume (just make sure to cut bathroom holes). For larger dogs, use a plain shirt that can be cut to tie snug around the body. Cut a tie from your favorite pet-friendly fabric. Place the neck collar and wrist cuffs around your pet, followed by the t-shirt and tie. Ch-Ch-Ch-Chia. This classic infomercial product will come alive as your pet transforms into a real live Chia Pet. Create four orange sleeves that are the size of your pet’s legs. Attach a single strap, piece of fabric, or string to each sleeve. For the body of the costume use a fitted shirt and sew fake greenery on. Be sure to avoid areas that may poke or irritate the animal. 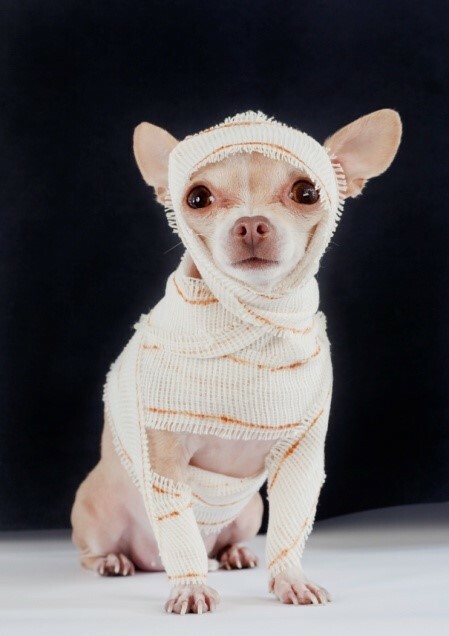 Slip your pet into the sleeves, being sure to tie each sleeve to its opposite. 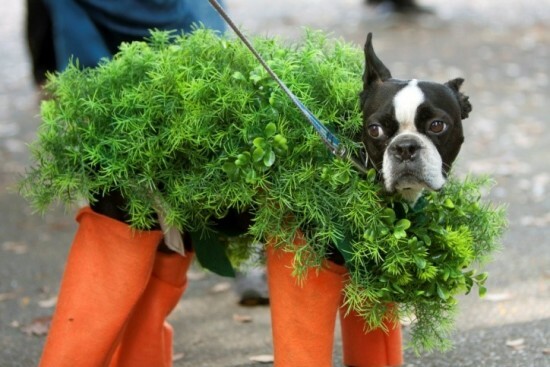 Put on the plant-covered shirt and your pet is ready to Ch-Ch-Ch-Chia his way to Halloween glory. If you have an extra baby doll or stuffed toy laying around, this jockey costume is sure to please and cause a few laughs. 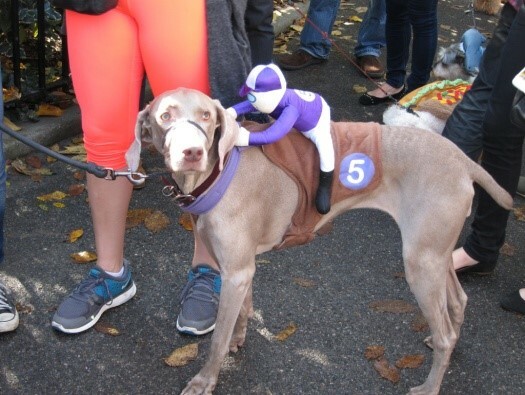 Create a saddle using brown felt or fabric that is shaped to fit your pet. Attach using Velcro or tie-on straps. Attach the feet of the stuffed toy to either side of the saddle, making sure to measure the width of your animal’s back. Attach the hands to a secondary collar or piece of fabric that fits around your pet’s neck. 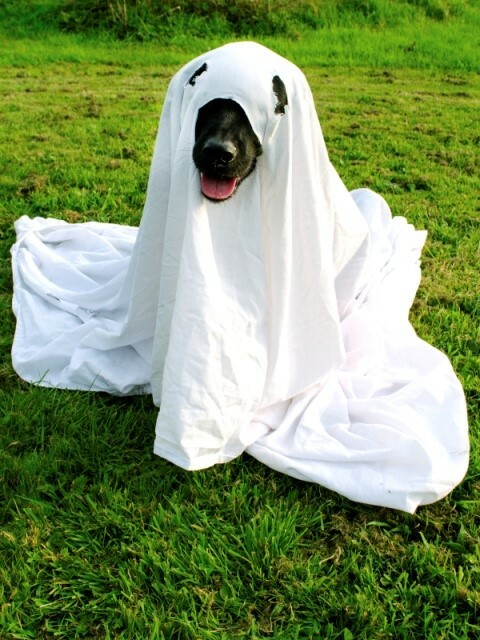 Known as being one of the simplest costumes for humans, the simple ghost costume can work for your animal buddy just the same. Cut holes for the eyes and mouth in a white sheet. Be sure to leave or cut the sheet short enough so that your pet isn’t consistently tripping over it. Whatever costume you choose this year, make sure your pet gets to experience the holiday too. If you’re looking for even more savings check out Offers.com for costume coupons and coupons for different arts & crafts stores like Hobby Lobby. Leave a reply below to let us know which costume you tried to DIY, or share some of your own DIY pet costume ideas. It’s pretty safe to say the recession is over once looking at how much Americans are spending on Halloween this year. Some of the numbers may shock Saving Advice readers. Just to think, Halloween isn’t even a very old holiday as far as Americans are concerned. Many of your parents didn’t even celebrate October 31st. Not until the mid-20th century did knocking on the doors of strangers become a socially acceptable practice. 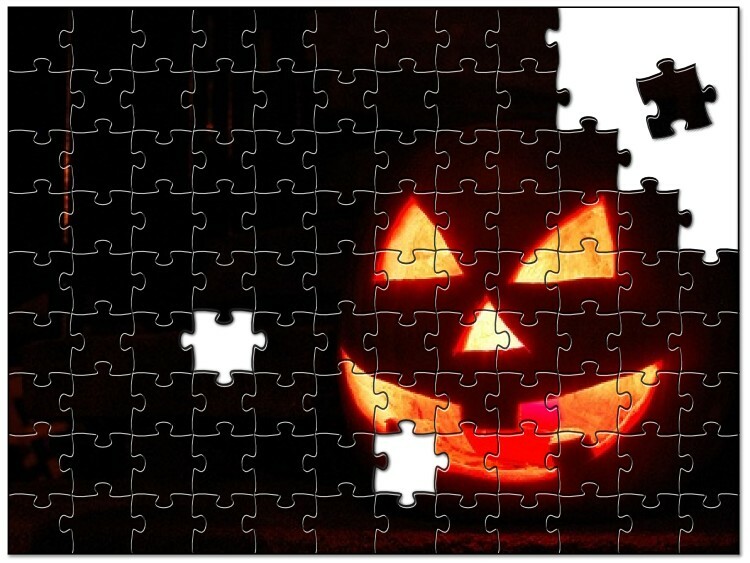 For 2015, 64 percent of Americans plan to celebrate Halloween. This article is a compilation of all the different expenses Americans are partaking in this Halloween. Some expenses we’ve touched on before like in our Halloween candy article. But many expenses most people don’t even think about. Without further ado, here’s how wide Americans are opening their wallets for the scariest holiday. There are 41.2 million kids between the age of 5-14 who will likely go trick-or-treating. 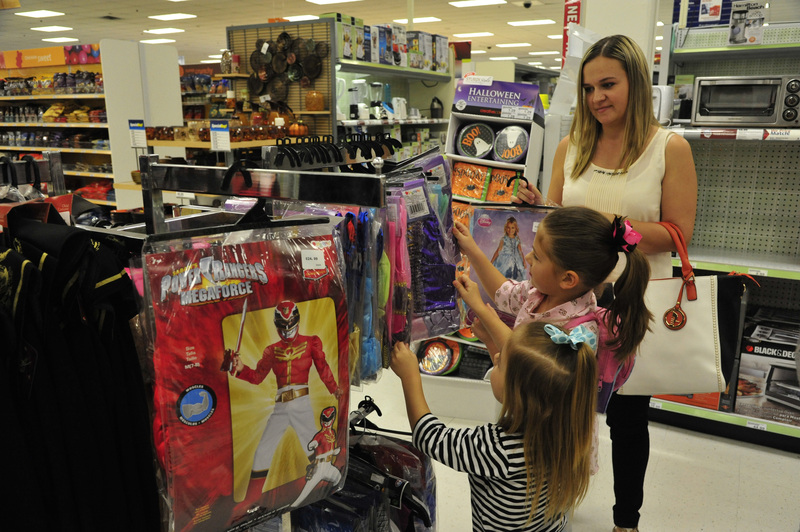 To prepare for the day, parents are spending an average of $74.34 on candy, costumes and decorations. About 50 million acres of pumpkins have been harvested. The total spent on pet costumes: $350 million. Total spent on candy: $2.2 billion. Total spent on decorations: $2 billion. When breaking these numbers down on a per family basis, it probably seems to you that most people are frugal as well. Or you don’t see how you can spend as little as $74.34 on candy, costumes and decorations combined. There’s an answer to why you think this. Think back to school when you would do really well on all assignments except one. That once poor grade would drop your average from an ‘A’ to a low ‘B’ so easily. It’s the same when looking at the average spent for Halloween. The average amount spent accounts for all households. Since only about 60% of Americans make it a point to celebrate the day, 40% of people spend $0. With that said, per consumer who does spend money for Halloween, they most likely spend more like $110. And keep in mind costumes and decorations can be re-purposed year after year. If you’re a young person, you may have to spend more starting out but after awhile, the expenses will drop. Make sure to buy only delicious but cheap as well. The price of fright changes from year to year. For instance, this year the price of candy is up 2%. At least that’s less than inflation. There are many ways to lessen the cost of Halloween this year. You can shut off the lights at home and go to a friend’s house to watch a movie. Then you won’t have to pay to pass out candy. Or you can simply watch a movie at home but still keep the lights off. Or you can take your kids out trick-or-treating. Talk about frugal! Simply walk the neighborhood collecting free food! Maybe whoever popularized Halloween in America was just a very frugal person. Instead of getting a trendy Halloween costume, have your kids dress up as tried-and-true DIY costumes like cats, ghosts or witches. Push them towards making those choices. But overall, the holiday isn’t near as expensive as say the 4th of July. Candy is cheap and costumes can be DIY’d. It’s never a good idea to make your own backyard fireworks. 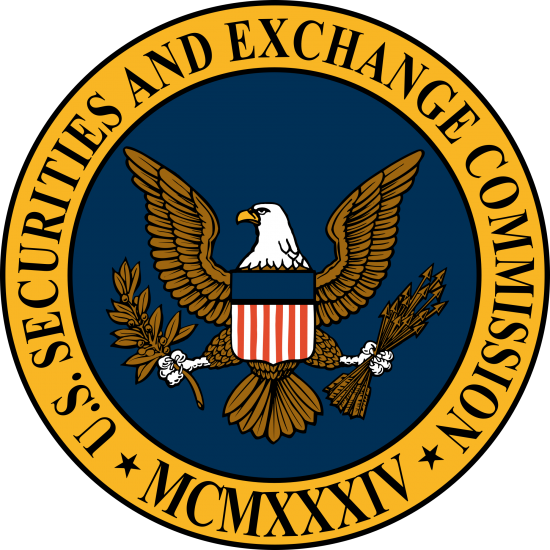 New SEC Title III Rules for Crowdfunding: Will They Go Through? The Title III crowdfunding rules, as described in the JOBS Act last month, would allow non-accredited investors to invest in crowdfunding offerings. Title III, as described at this point in time, will allow anyone to invest in startups online. Right now only accredited investors, those with an annual income of $200,000 ($300,000 if married), a net worth above $1 million and/or qualified institutional buyers can invest in startups online. During a recent SEC Advisory Committee meeting, Chairman White predicted the new rules would go through by late October. It’s nearing the end of October and nothing has been put in place. Title III would likely be a game-changer for non-accredited investors. It’s predicted that if Title III goes through, it will make global crowdfunding a $34.4 billion industry – for 2015 alone. Between 2013 and 2014, the industry grew 167%. The strong growth in 2014 was due to a rise in crowdfunding across Asia. Crowdfunding has now reached much of the planet, so to keep the industry growing it’s now about getting more people to participate. Title III would do just that. The slow roll out of the SEC’s Title III rules have been pinned on many factors. The SEC Advisory Committee believes the Commission has an obligation to consider how to best protect small businesses and investors from the possible negative outcomes of this massive scale of crowdfunding. Areas to examine before the release are the efficiency, transparency and affordability for small businesses and investors who would like to make the business arrangement. The aim of the SEC is not to get in the way of either the small business or the investor… that’s why the Title III release is taking so long. Although this would create a more free crowdfunding space, there are still restrictions. Title III will still pose restrictions on investors based on their income and net worth. It will also still leave restrictions on how much a person can invest and how much a company can crowdfund. Nevertheless, Title III will still have a massive impact on the startup theme we’ve been seeing since the recession. More and more startups are launching and the SEC is just trying to catch up by issuing Title III (which the SEC has been hinting at since 2012) while not getting in the way too much. According to Fortune, the global crowdfunding market could reach between $90 billion and $96 billion in 10 years. The famous investor Peter Thiel can explain why crowdfunding is so important. He was able to get into Facebook when its valuation was only $5 million. The public wasn’t able to get in until the IPO – by which time the company was worth $104 billion. With the passage of Title III, it would not require the power of Peter Thiel for a person to invest in these powerhouses. Title III could change personal finance forever. Perhaps instead of investing in index funds, regular citizens begin investing in multiple startup companies. It may be riskier but it may be more rewarding as well. Perhaps it will be worth it for younger investors who can handle the fluctuations. View the official Title III rules by visiting the Office of Information and Regulatory Affairs. Is Chase Bank Open on Halloween 2015? Halloween 2015 falls on a Saturday. This means, many businesses will be closed because a) it’s Saturday and b) it’s Halloween. But what about banks? Banks typically do good business around the holidays as a holiday brings increased spending. However, is it enough to stay open? Think for a minute about how a bank makes money. A bank makes money mainly from fees and loans. Free checking and savings accounts don’t make the bank money. In fact, these are viewed as loss leaders. A free checking account and/or savings account gets a customer in the door. Overdraft fees, etc. may eventually make that customer profitable. However, a few overdraft fees per year isn’t going to make bank board members rich. This is especially true since many banks offer overdraft protection. Some banks, and especially credit unions, waive a certain number of overdrafts per year. So alas, it’s lending which makes an institution so profitable. With lending, a customer is committed to long-term debt. This means long-term cash flow for an institution, especially with mortgages – the bread and butter of the lending industry. To make a mortgage, a few businesses typically need to be open. Also, many people are involved, which means closing a mortgage on a Saturday doesn’t make much sense. If the bread and butter of a business can’t be eaten on a Saturday, why be open? Banks and credit unions are often open on Saturday as a courtesy to members. They are open so traditional banking customers can come in and do their face-to-face business. However, banks typically close at noon or 1 p.m. on Saturdays. This is true of Chase Bank. With Chase, the bank does not observe Halloween. Chase Bank will be open on Halloween 2015 its normal hours. None of these holidays land on Saturday in 2015. Remember also that since the Federal Reserve isn’t open on the weekends, nothing gets posted until Monday. This means that even if Chase Bank was open all day Saturday, it still would only be really beneficial for withdrawals. For withdrawals, ATMs work very well. Consider using the Chase Bank map to see where ATMs, branches, etc. are located in your area. An ATM may be closer to your home than a branch anyway, making it far easier than walking into a bank this Halloween. If you want to stretch your Halloween budget to get as much candy as possible, read our post about finding the cheapest Halloween candy available. If you just want to save money on America’s favorite candies, go to Sam’s Club (clicking that link will also allow you to read how to get a free 1-day Sam’s pass. Halloween is a strange holiday – for reasons beyond black cats and vampires. Some businesses are closed. Some remain open as if nothing is happening. Others close early. And furthermore, some stores only open for the Halloween season. These are mostly popup stores in shopping malls, pumpkin patches and haunted houses. Halloween falls on a Saturday this year, making predicting hours of operation to be even trickier than for most years. Bank of America is like every other bank in America in the sense that it makes most of its money via overdraft fees and loans. Banks most often distribute business loans and mortgages. Either of these loan types require businesses to be open. Paying a staff to hand over cash to people using savings and checking accounts just doesn’t make financial sense for any financial institution. After all, most checking and savings accounts are free. This means the bank is actually losing money servicing these clients. Banks need fees and loans. Fees get applied automatically, loans require businesses to be open. Since October 31st is a Saturday and it’s a holiday, most banks are either keeping the same hours or closing early. Bank of America has regular hours on Halloween – for most locations, it’s 1 PM. However, for getting last minute Halloween candy (we recommend you go to Sam’s Club) you can still visit the thousands of Bank of America ATMs which dot the United States. Visit the Bank of America location locator to find ATMs. It can also locate services such as notary services, stamp sales and foreign currency exchange. All Bank of America services are accessible in other means than by going into the actual bank. Except going into the bank is necessary when taking out a loan or opening a certificate of deposit. If you wanted to go into a branch to get cash, look at Halloween as an opportunity to embrace the 21st century. You’ll find that getting cash electronically is far easier than walking into a branch. Plus, money is dirty. Use electronic funds when possible. 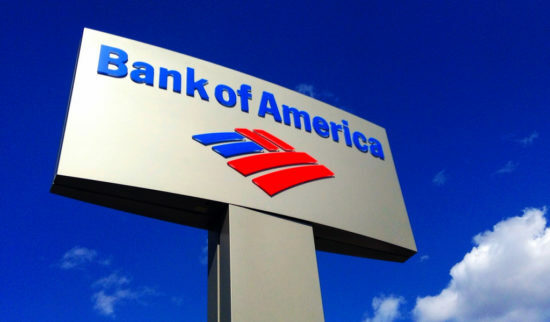 Most banks run similar hours to Bank of America. After all, Bank of America is the second largest bank in the United States. Other banks follow suit. Wells Fargo has similar hours. Bank of America will be running its typical Halloween hours. It makes sense as most branches close at 1 anyway. Halloween festivities usually don’t kick off until much later. And remember, Halloween is on a Saturday this year. Don’t get caught up in the excitement and spend too much money! Halloween costumes tend to look like a recap of what’s trending across pop culture to the year. It’s almost like a finale where you can pick which movie, TV show, event which caught your interest. Network. See if you can’t mix and match costumes from past years with your friends. Chances are they aren’t doing anything with their leftover fake hand. Look around at what you already have on hand. You may have enough to build a Halloween costume without acquiring anything new. It’s 2015 so that means you could be Marty from back to the future. His costume wouldn’t take too much putting together! If you’re going to buy new items, buy stuff you can wear even after Halloween. Sweatshirts, robes, scarves, makeup can all be used after the day. Consider making costumes in bulk. If saving money isn’t your thing, think about creating your own t-shirts or creating crazy costumes to sell to other people. You’ll go from worrying about saving money to having the opportunity to make money. Then you can spend your earnings on Halloween candy! Or save it up. Better save it up.